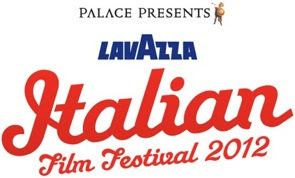 The first lineup announcements have been made regarding the 13th annual LAVAZZA ITALIAN FILM FESTIVAL presented by Palace Cinemas with the proud support of Lavazza, the ‘numero uno’ authentic Italian coffee of connoisseurs, the world-over. The Festival continues to encapsulate the spirit of Italy with a thrilling program of over 30 award-winning, critically acclaimed features and includes highlights from internationally revered film forums, including Cannes, Sundance and Berlin, Rome and Venice. For lovers of quality European cinema, the Festival also provides an opportunity to experience films from famed directors such as Marco Tullio Giordano, Pupi Avati, the Taviani brothers, Paolo Genovese, Ferzan Ozpetek and Emanuele Crialese, that might otherwise not be seen on these shores. And in response to popular demand, this year’s Festival will include a host of special events incorporating live entertainment, cooking demonstrations, cocktails, gourmet delicacies, wine tastings along with the Festival’s romantically indulgent opening and closing night celebrations. WELCOME TO THE NORTH, the eagerly anticipated sequel to last year’s hit-comedy, WELCOME TO THE SOUTH, will launch the 2012 Festival, whilst Woody Allen’s latest movie, TO ROME WITH LOVE, starring Penélope Cruz, Judy Davis and Roberto Benigni, has been selected for closing night in Sydney and Melbourne and will screen courtesy of Hopscotch Films. A FLAT FOR THREE, the latest comedy from beloved Italian actor Carlo Verdone, will close the Festival in Brisbane, Adelaide and Perth. Sydney, Melbourne and Brisbane audiences will also be treated to Porte dell’Inferno – the Fevered Cinema of Lucio Fulci, a Festival retrospective presented by Cult Vault showcasing the popularly referred to Gates of Hell Trilogy from the late Lucio Fulci, fondly known to horror-movie buffs as Italy’s “Godfather of Gore”. 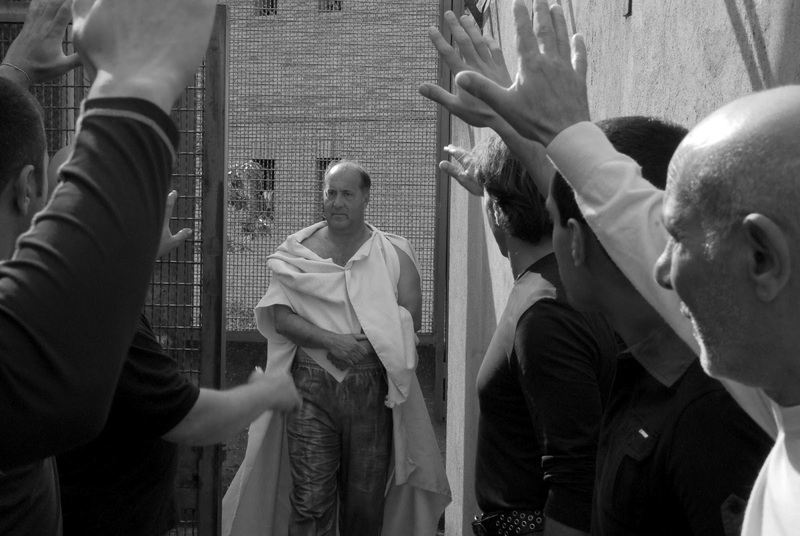 Winner of the Golden Bear at this year’s Berlin Film Festival, the story follows the inmates of the high-security Rebibbia prison as they rehearse for a performance of Shakespeare’s Julius Caesar. As the rehearsal process infiltrates the daily lives of the inmates, suppressed tensions slowly start to surface. Winner of the Luigi De Laurentis Award for a Debut Film at Venice and winner of the 26th International Critics' Week Kino Audience Award, this is the moving story of Yussouf, an aspiring artist, who arrives in southern Italy full of hope, only to find he is just another African immigrant struggling for survival. An eastern European bricklayer seeking work, is befriended by a young woman who has retreated into silence in this engrossing drama set against the haunting backdrop of the Tremiti Islands. It’s 1970s Naples and bullied, nine year-old Peppino is watching the world around him as his extended dysfunctional family change. With Italian versions of period classic songs, and all the colours of peace and love amid the city’s backstreets, this is a fresh, tender and funny tale exploring love, diversity and dreams. A critically acclaimed ghost tale, about Pietro, a lonely, aspiring actor, struggling to accept his homosexuality, who discovers that the grand old Roman house he has purchased is occupied by a ghostly 1940s vaudevillian troupe. Initially terrified, Pietro slowly begins to value and accept his ‘new’ friends. Starring Valerio Mastrandrea, Pierfrancesco Favino, Michela Crescon, Laura Chiatto & Luigi Lo Cascio. This impressive Machiavellian drama dissects the Piazza Fontana bombing, highlighting the cynical manipulations and tragic consequences of the event and subsequent investigations. Matteo Garrone, whose acclaimed earlier film GOMORRAH also won the Grand Prix at Cannes four years ago, took out the Grand Prix again this year with this biting satire on reality television and Italian culture. In this multi award-winning drama, two lonely people from different cultural backgrounds form an innocent friendship, which sparks the all too familiar forces of hate prejudice and paranoia from those around them. Set amidst a community on a small fishing island near Sicily, this critically lauded, suspenseful drama tells the story of a broken family confronting great changes as they try to survive. A delicate tragicomedy of love, compromise and the role of women, set in Mussolini’s Fascist Italy of the 1930s, inspired by the story of famed director, Pupi Avati’s own grandparents. This multi-award winning drama tells the story of factory owner Nicola Ranieri, whose pride has caused emotional heartache and taken him to the brink of ruin.